We’ll make no assumptions here and keep this article on a level that anyone can understand. You might be shopping for a computer and simply wondering what the heck SSD actually means? To begin, SSD stands for Solid State Drive. You’re probably familiar with USB memory sticks - SSD can be thought of as an oversized and more sophisticated version of the humble USB memory stick. Like a memory stick, there are no moving parts to an SSD. Rather, information is stored in microchips. Conversely, a hard disk drive uses a mechanical arm with a read/write head to move around and read information from the right location on a storage platter. This difference is what makes SSD so much faster. As an analogy, what’s quicker? Having to walk across the room to retrieve a book to get information or simply magically having that book open in front of you when you need it? That’s how an HDD compares to an SSD; it simply requires more physical labor (mechanical movement) to get information. Hard Disk Drives, or HDD in techno-parlance, have been around for donkey's years relative to the technology world. HDDs were first introduced by IBM in 1956 - yes folks this is nearly 60-year old technology, thank goodness vacuum tubes for TVs didn’t last so long! An HDD uses magnetism to store data on a rotating platter. A read/write head floats above the spinning platter reading and writing data. The faster the platter spins, the faster an HDD can perform. Typical laptop drives today spin at either 5400 RPM (Revolutions per Minute) or 7200RPM, though some server-based platters spin at up to 15,000 RPM! The major advantage of an HDD is that it is capable of storing lots of data cheaply. These days, 1 TeraByte (1,024 gigabytes) of storage is not unusual for a laptop hard drive, and the density continues to grow. However, the cost per gigabyte is hard to calculate now-a-days since there are so many classes to consider, though it is safe to say that all HDDs are substantially cheaper than SSDs. As a comparison, the popular WD Black (1TB) goes for roughly $156 on most websites while the Crucial M500 (960GB) and Samsung 840 EVO (1TB) SSDs go for $460 and $510 respectively, three times the price of the WD Black. So if you want cheap storage and lots of it, using a standard hard drive is definitely the more appealing way to go. Don’t care too much about how fast a computer boots up or opens programs - then get a hard drive (HDD). HDDs are still the popular choice for the majority of average consumers, usually choosing the HDD as the storage option in their new computer simply due to the much cheaper cost. However, more and more consumers desire top computing performance and are opting for an SSD inside their new setup or as an upgrade to their current one. 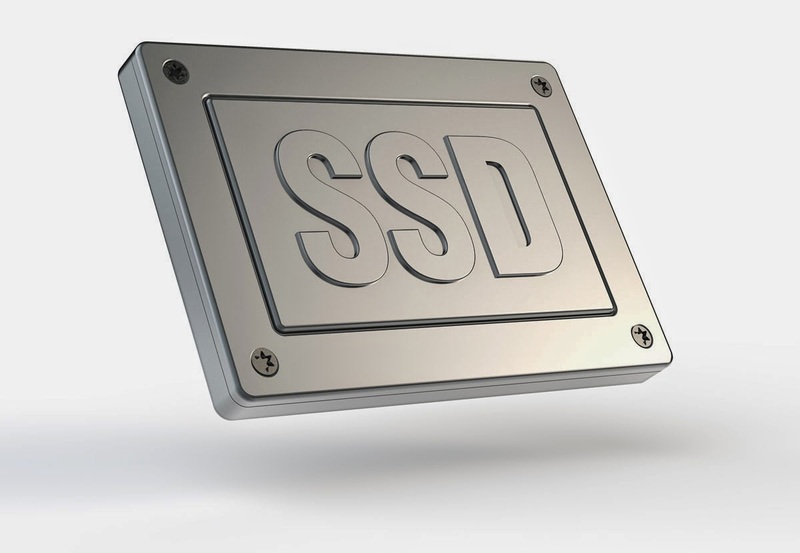 As such, SSDs are well on their way to becoming the mainstream, standard storage mechanism, especially for laptops given the advantages they present for a mobile device (they are currently the default storage device in the Ultrabook category). That said, there will always be a market for both HDDs and SSDs. The advent of mSATA SSD devices and hybrid drives that include both SSD and HDD features is another option for consumers seeking a bit of the best of both worlds, but that’s a topic for another day! Curious about which SSD or hard drive to buy? Be sure to check out our constantly updated leaderboard that has a breakdown of the best SSD in categories like value, mainstream and enthusiast.